The Institute of Chartered Accountants of India (ICAI) recently concluded the CA final exams held in the month of May. The exam was conducted between May 2 and May 17. CA final exam consists of 8 papers divided into 2 groups of 4 papers each. 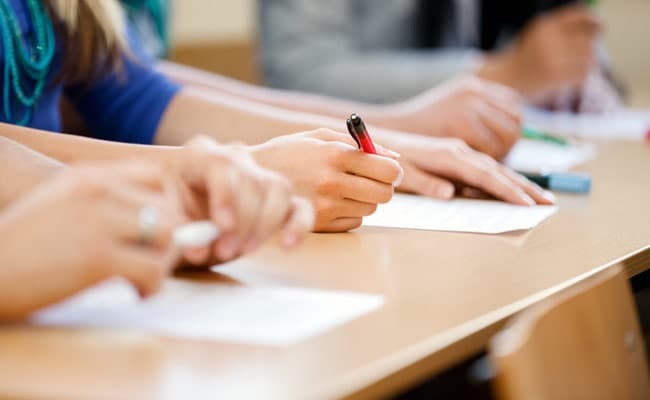 New Delhi: The Institute of Chartered Accountants of India (ICAI) recently concluded the CA final exams held in the month of May. The exam was conducted between May 2 and May 17. CA final exam consists of 8 papers divided into 2 groups of 4 papers each. Candidates may choose to appear for a single group or both groups. The recently concluded exams had mixed reaction from the students. Some papers were found to be easy while others tough. The results for the exam are expected to be declared between July 17-19, 2017. We talked to Avik Bose, a CA final year student from Kolkata, who said that the questions this year were more focused toward testing a student's conceptual knowledge than textual knowledge. He said, "It is clear that ICAI is moving towards more concept oriented question papers where students must gain proper understanding of the problems and solve them independently rather than following a set of instructions." Here's a paper-wise analysis of the CA final exam conducted in May 2017. Paper 1: Financial Reporting- Good paper where students can score decent marks if institutes study material and practice manual were followed. Paper 2: Strategic Financial Management- This was a controversial paper as very few questions came from some of the more important topics having higher weightage. Paper 3: Advanced Auditing and Professional Ethics- Paper was more or less easy. Although some students found it to be confusing. Paper 4: Corporate and Allied Laws- Many students found the paper to be tough. Paper 5: Advanced Management Accounting- Paper was lengthy as usual and most students could not complete it. Paper was conceptual and contained some very tricky questions. Paper 6: Information Systems Control & Audit- Paper was confusing and there were very few direct questions. Students had to think deeply before writing the correct answer. Paper 7: Direct Tax Laws- Paper was very lengthy and many couldn't complete it. Recent case laws were asked. Paper 8: Indirect Tax Laws- Again another lengthy paper with questions coming from recent amendments. Some students struggled in this paper.